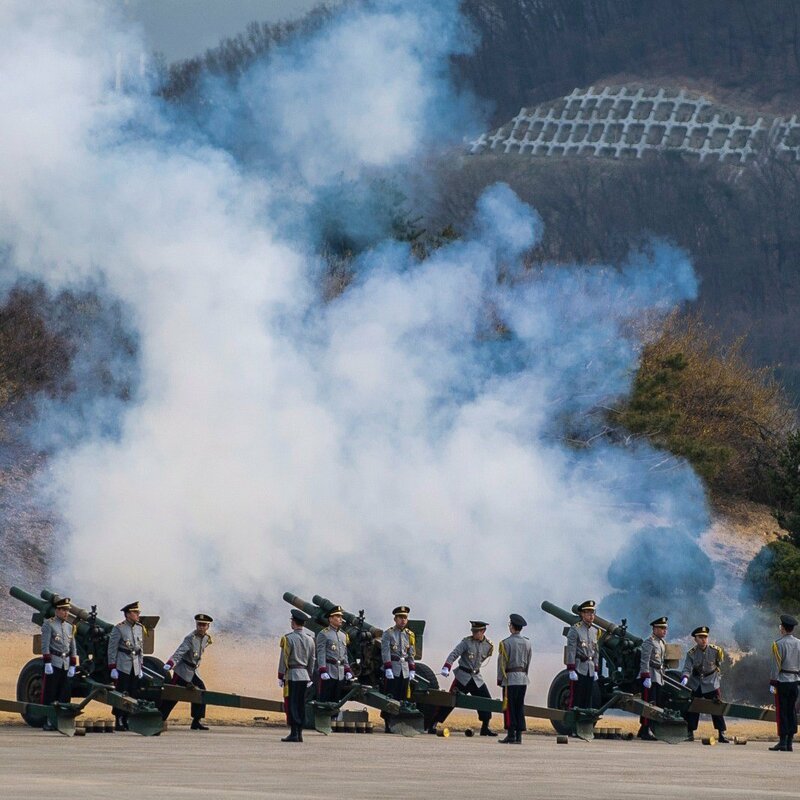 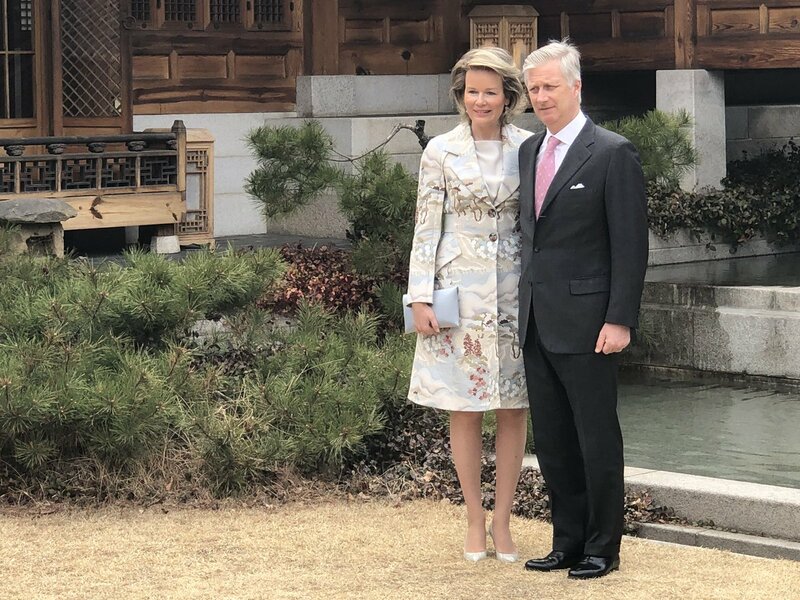 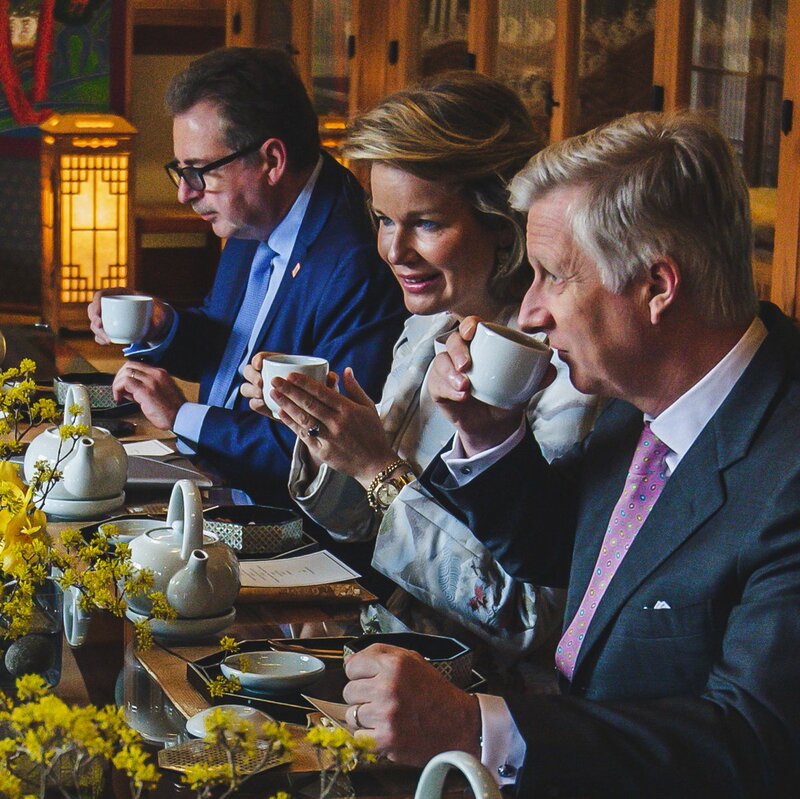 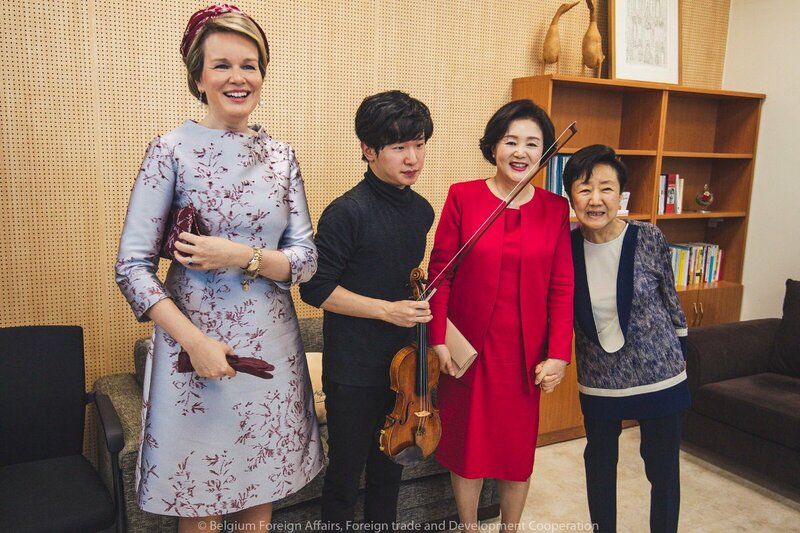 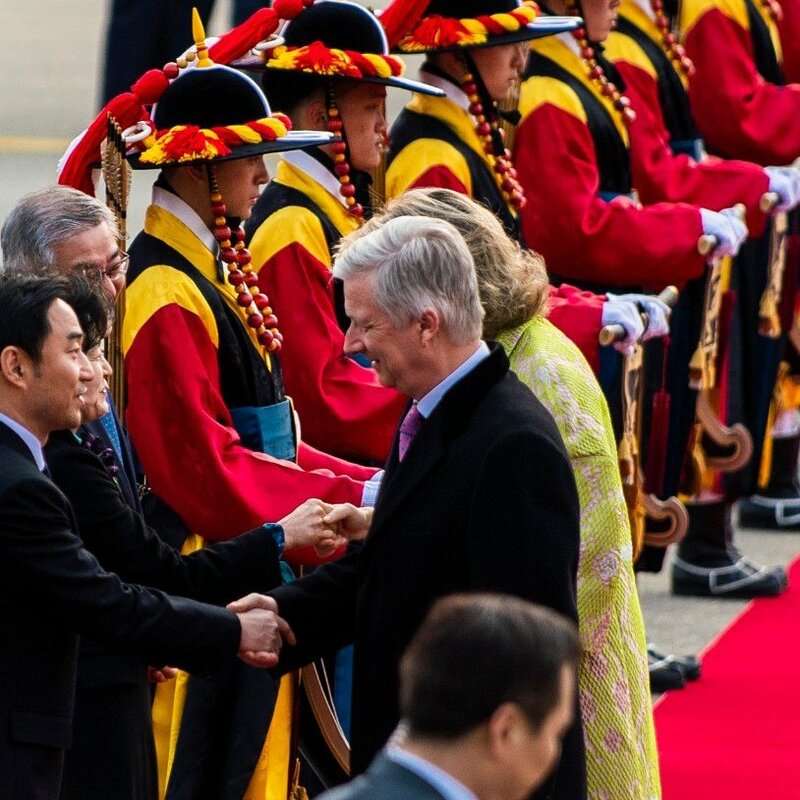 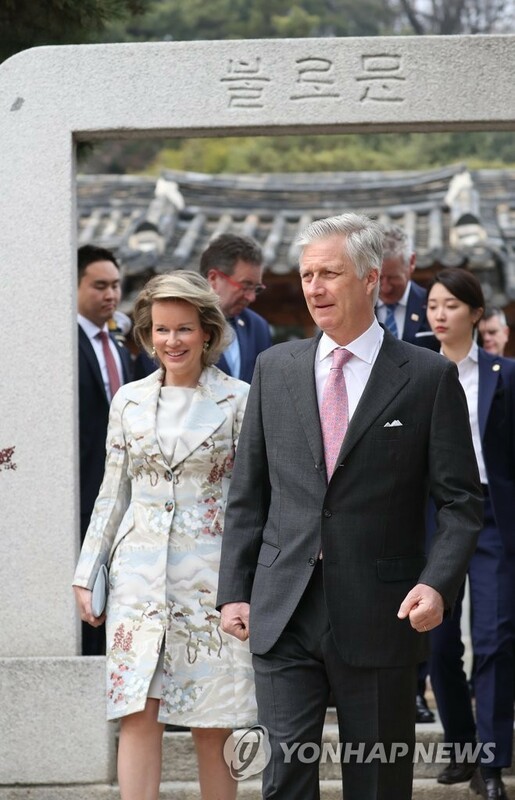 At the invitation of President Moon Jae-in, King Philippe and Queen Mathilde will paid a State visit to South Korea from 24 until 28 March. 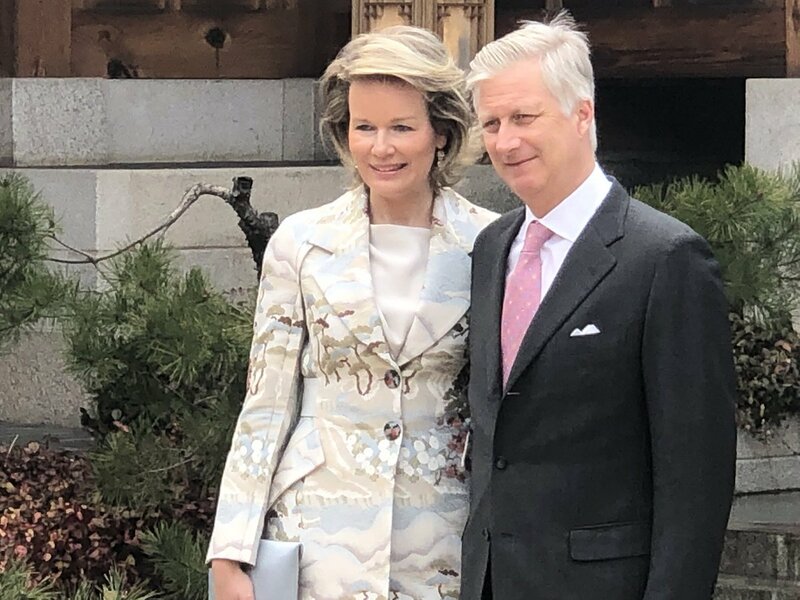 Back to 1992! 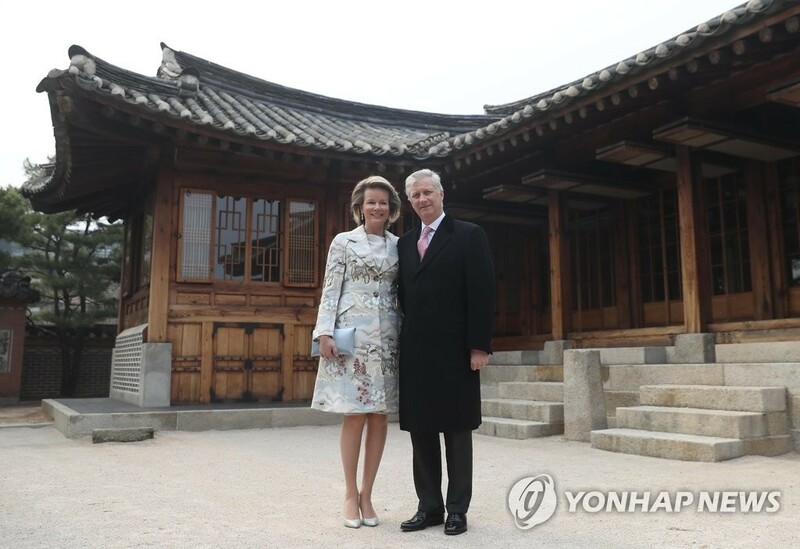 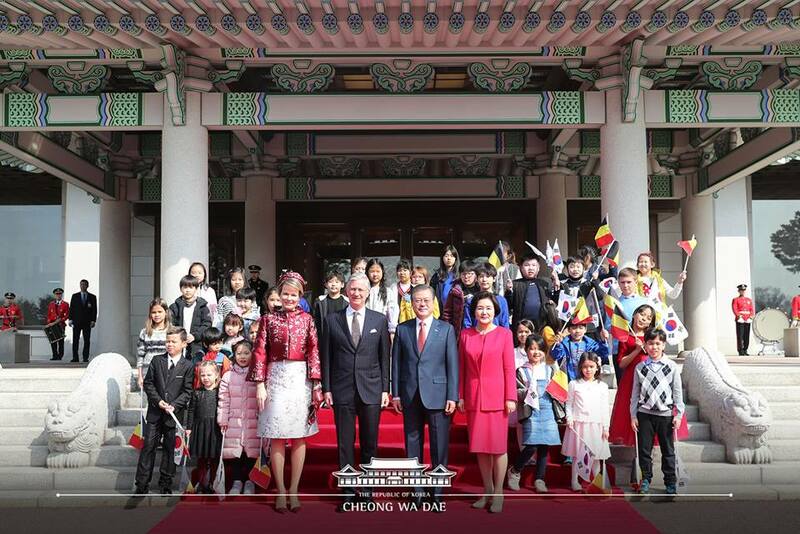 King Baudouin and Queen Fabiola visited then President Roh Tae-Woo in South Korea! 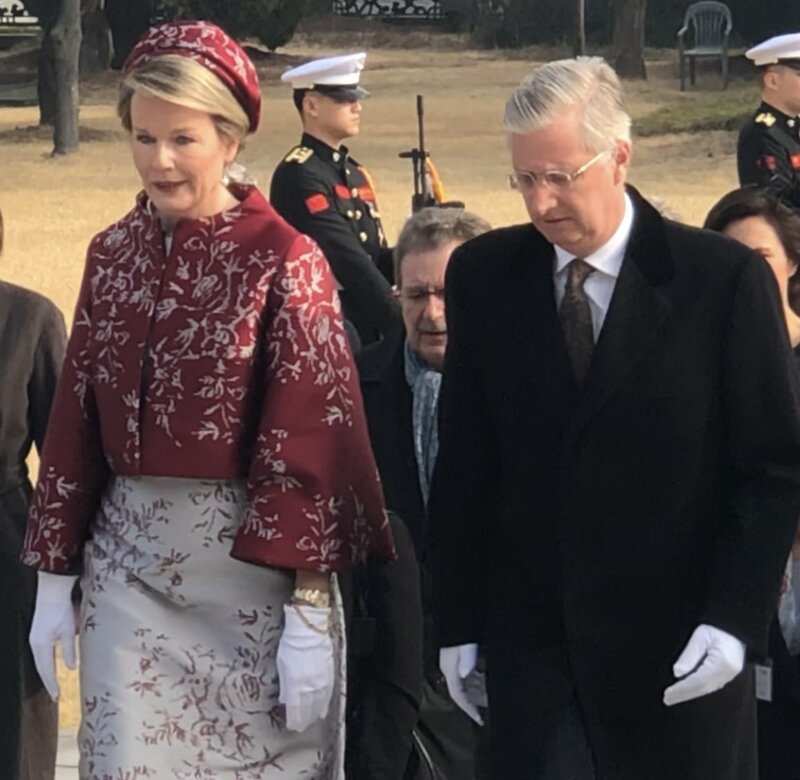 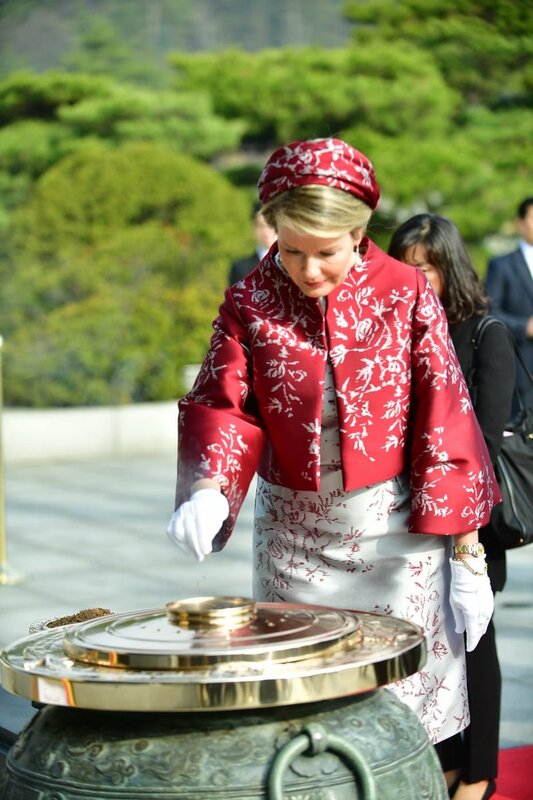 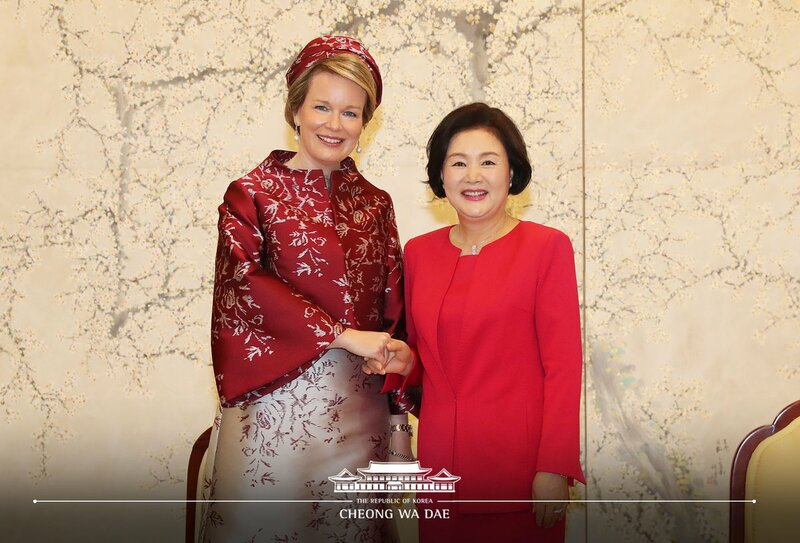 South Korea will be receiving two royal visitors from Europe so far this year, then, with CP Mary of Denmark visiting in May. 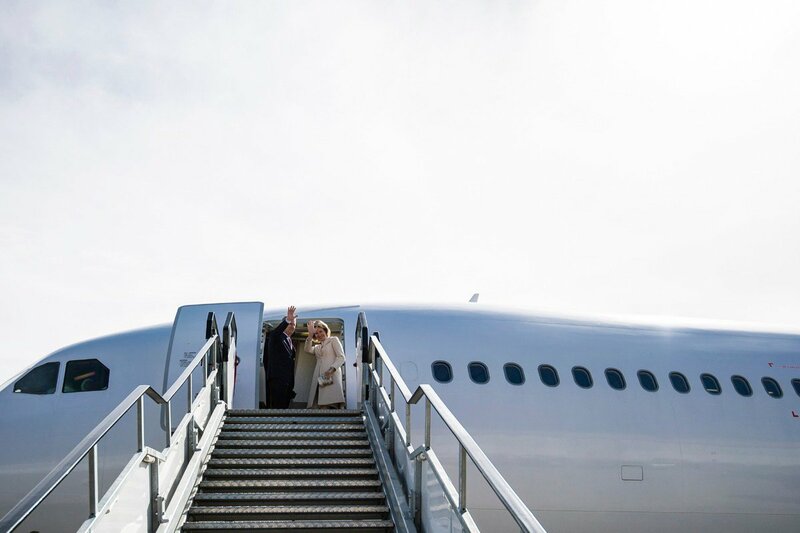 Shall be looking forward to the trip! 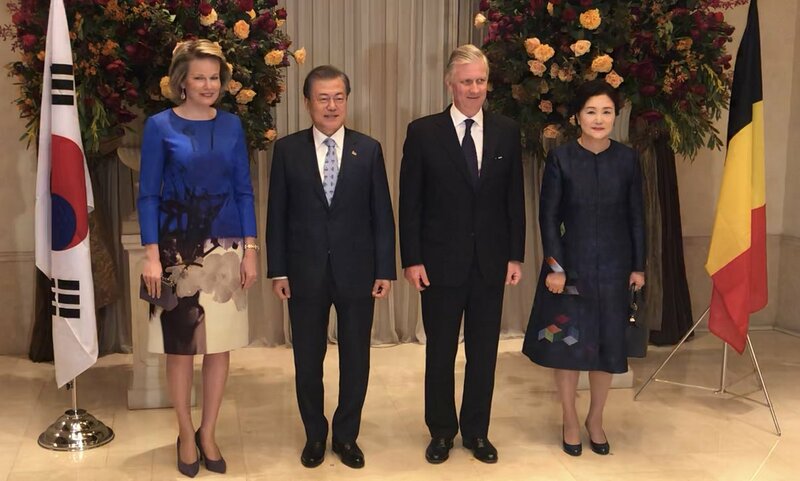 The dress code for the state dinner is "dark business suit" and "cocktail dress". 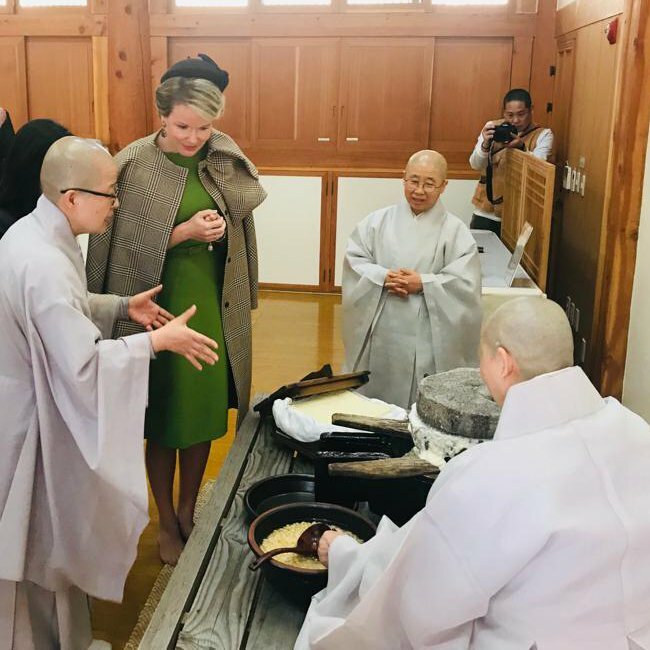 Very disappointing ! 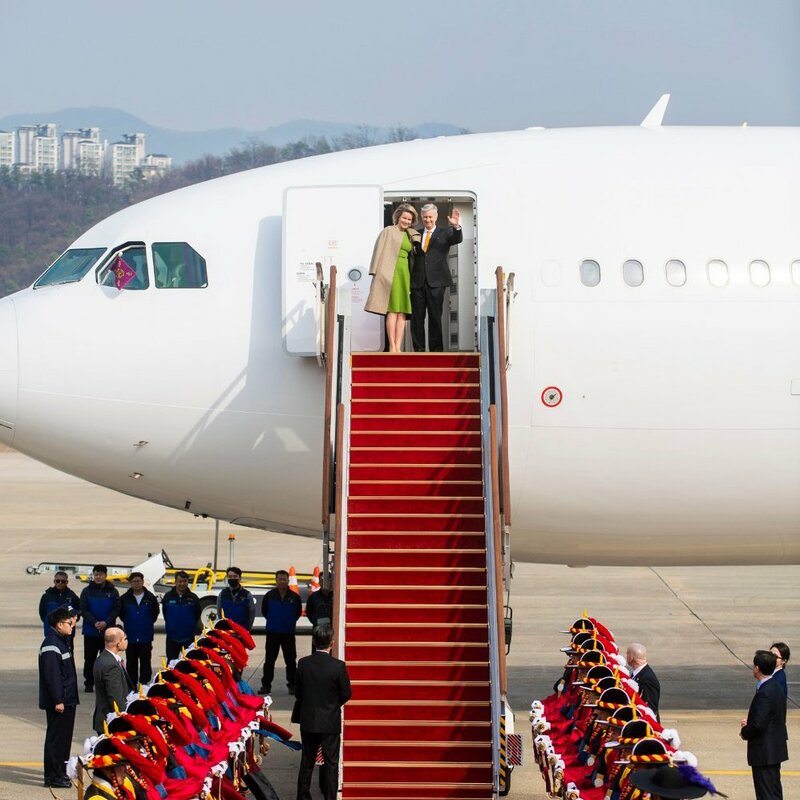 It is a packed program though for the King and Queen. 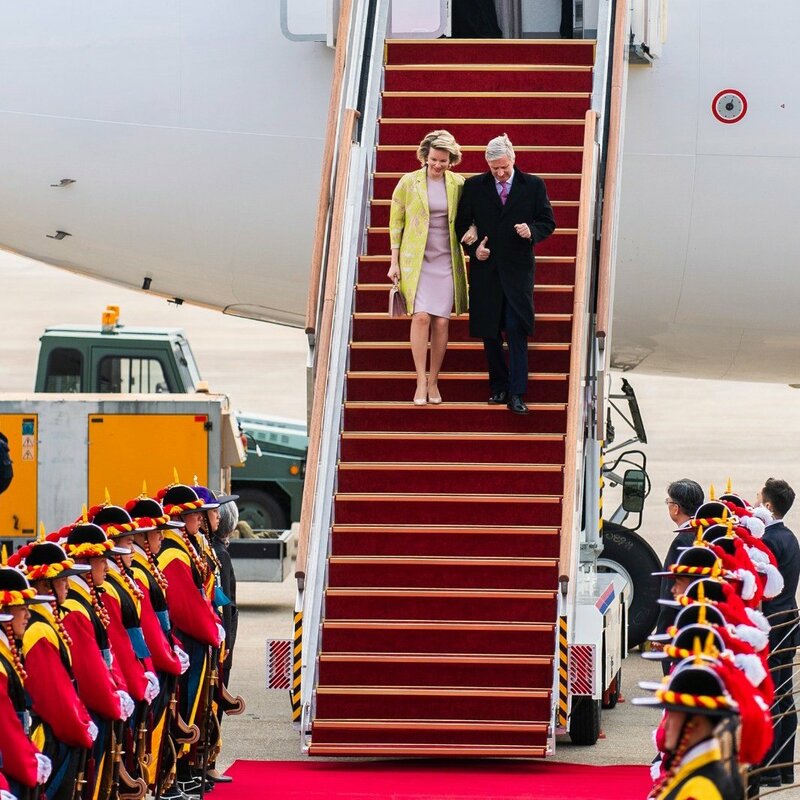 And a video from their arrival! 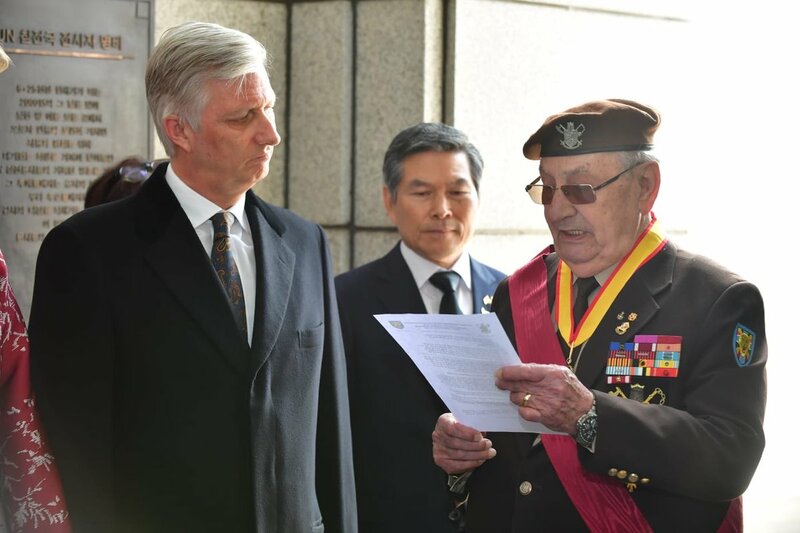 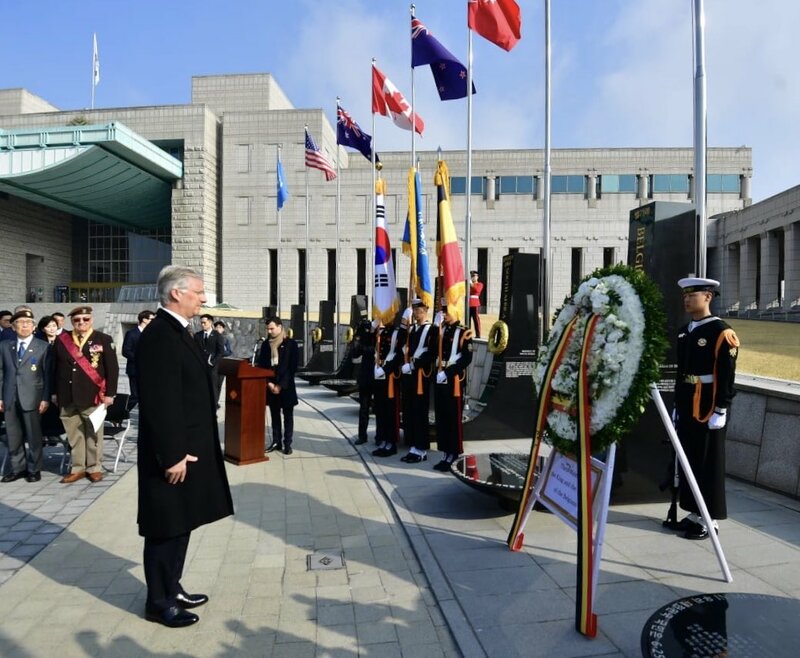 Day 2 in South Korea started with a wreath laying ceremony at the National Cemetery, a commemoration ceremony at the War Memorial of Korea and visit of the Belgian Monument including participation of veterans, followed by an official welcome ceremony and talks with the President and the First Lady of the Republic of Korea. 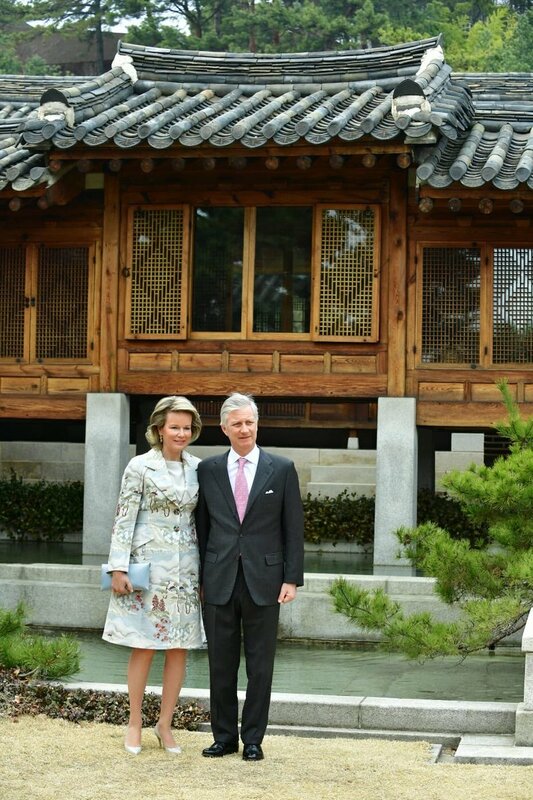 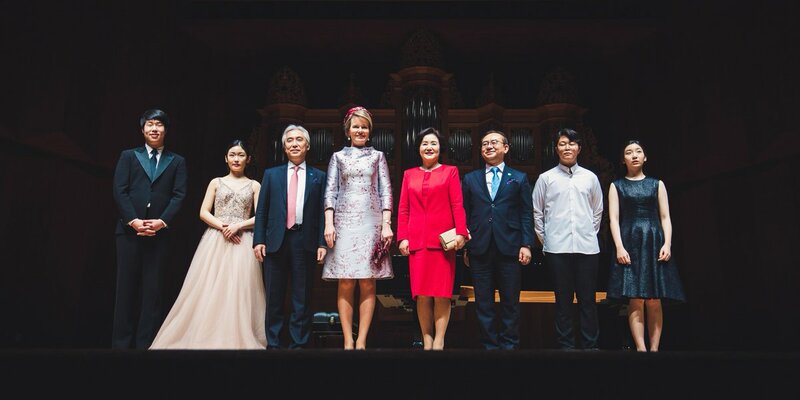 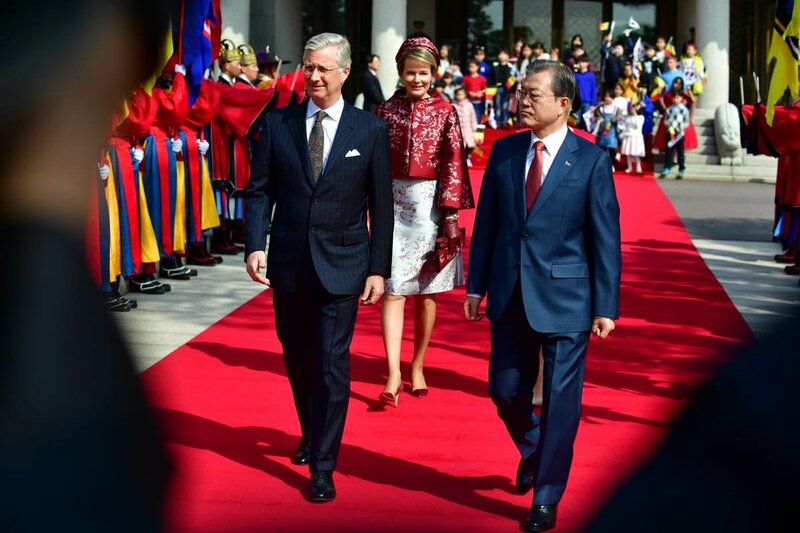 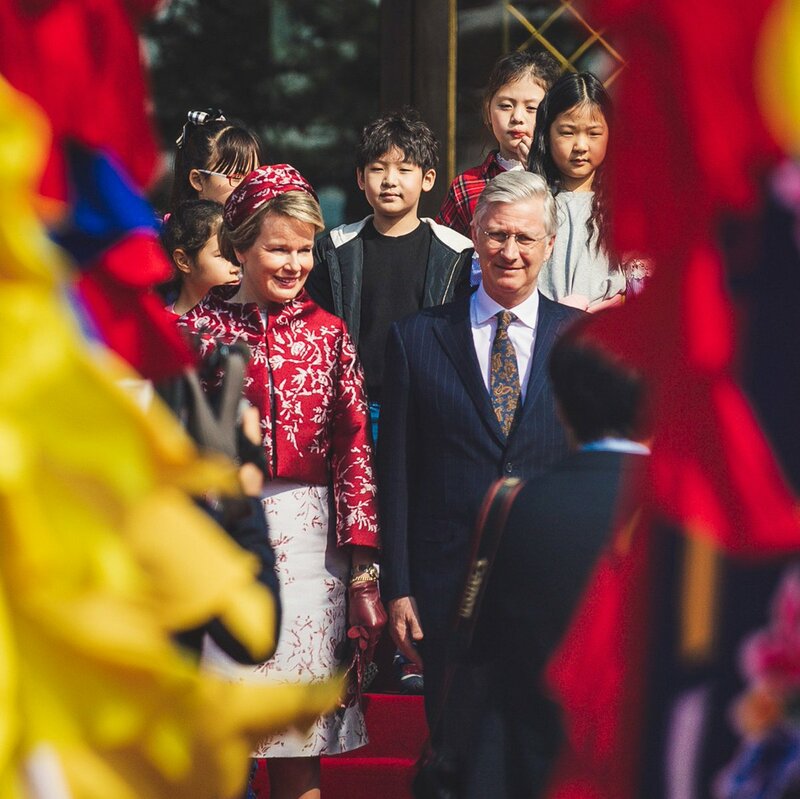 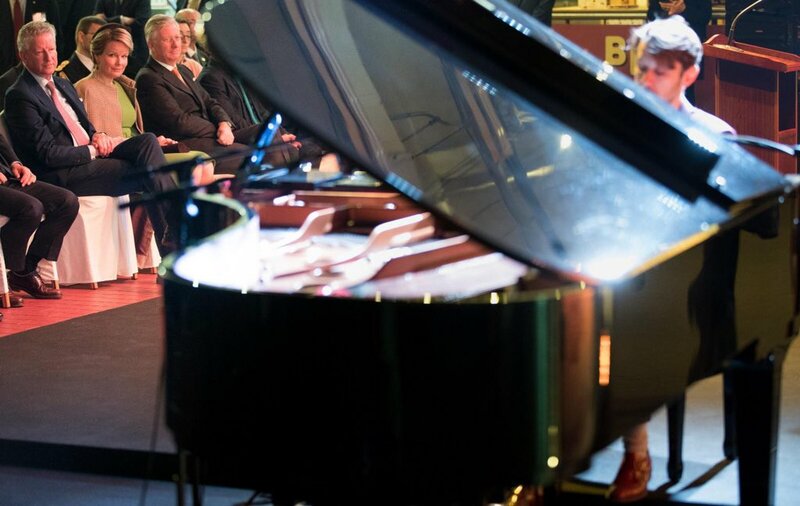 King Philippe visited the Seoul National University while Queen Mathilde visited the Korea National University of Arts – School of Music. 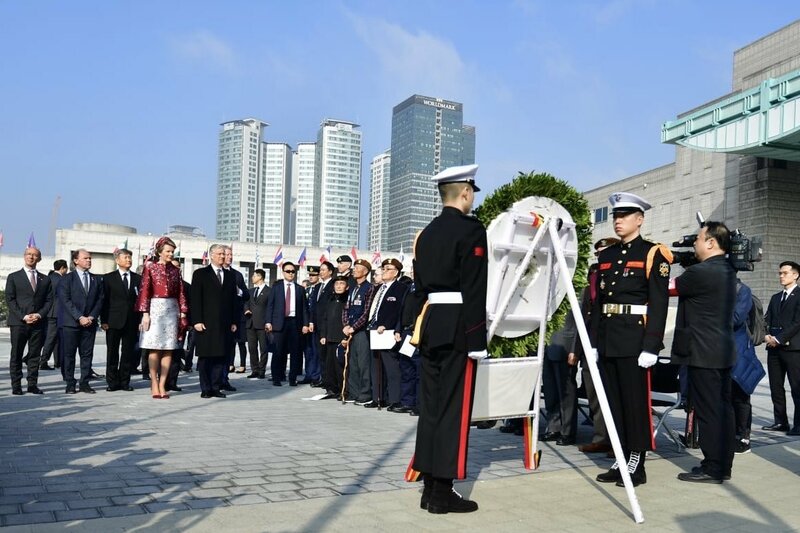 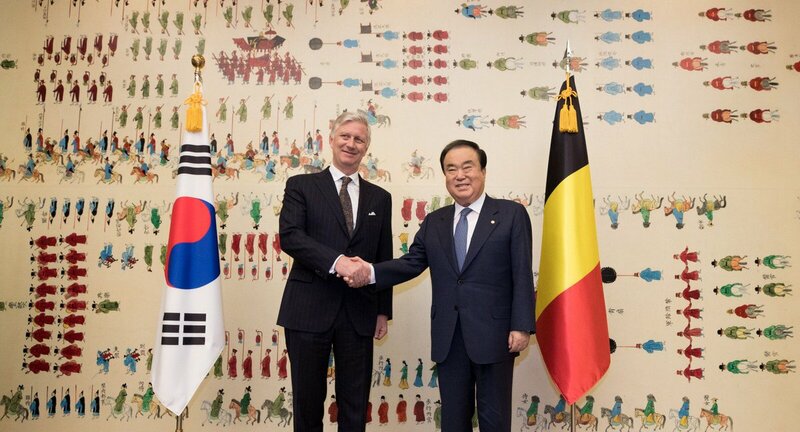 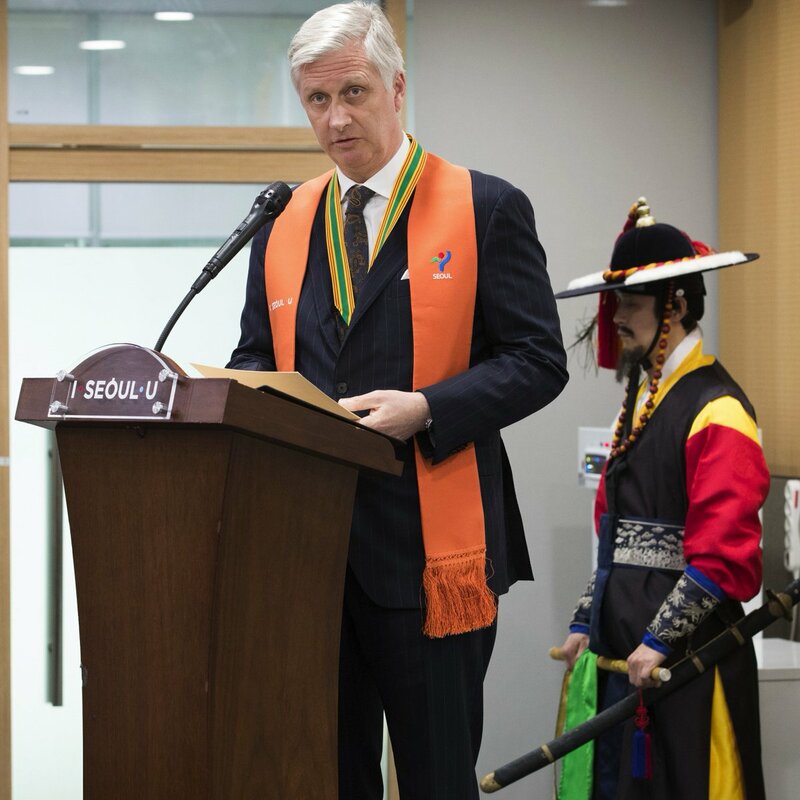 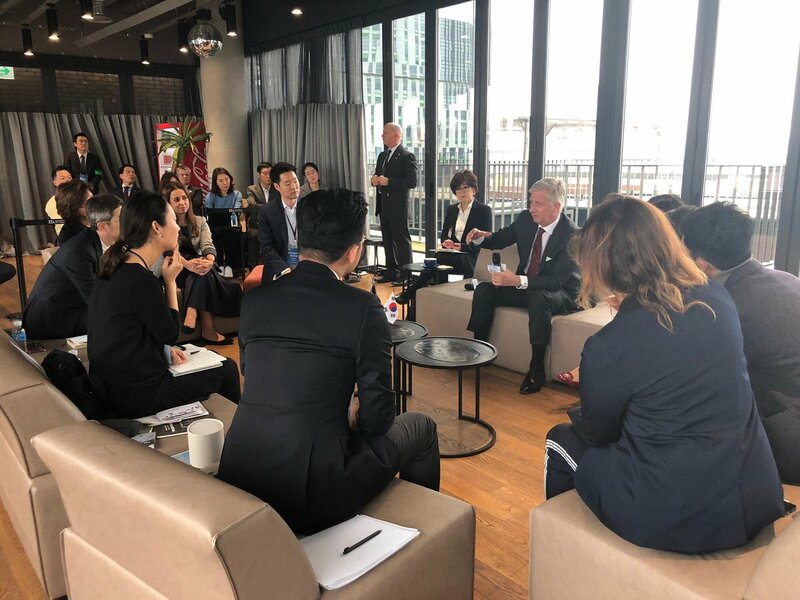 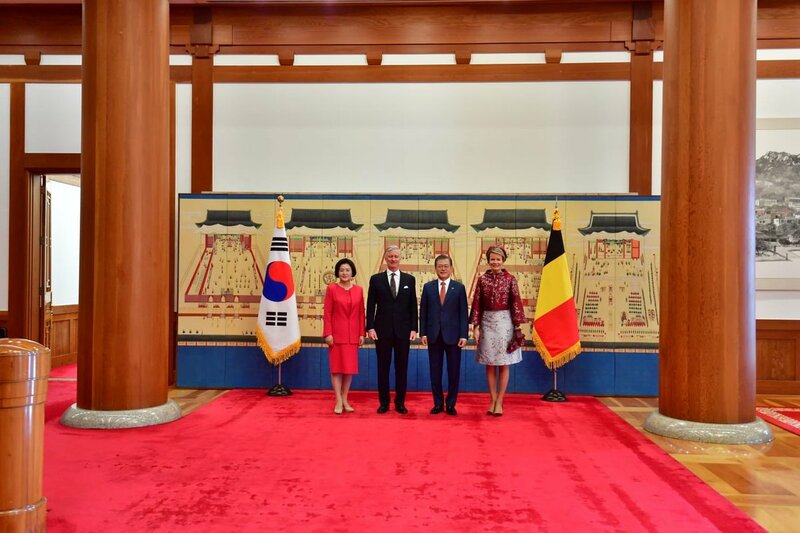 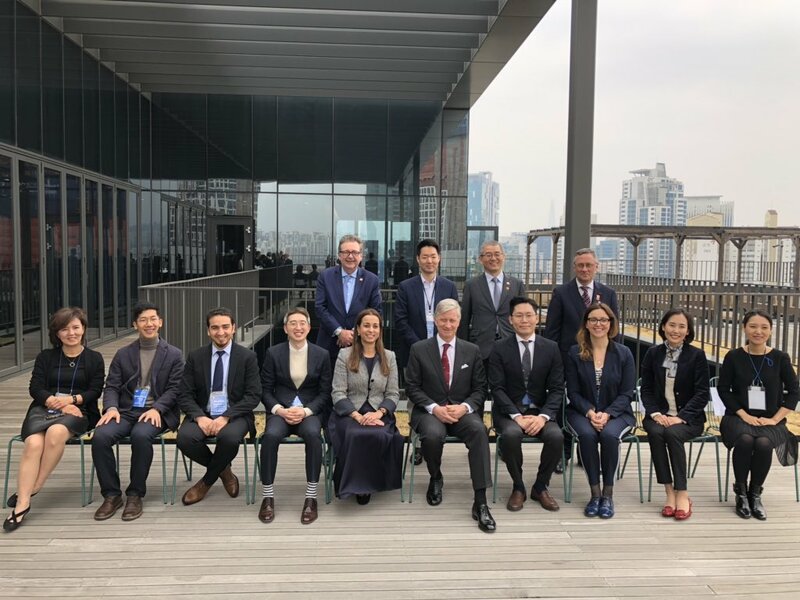 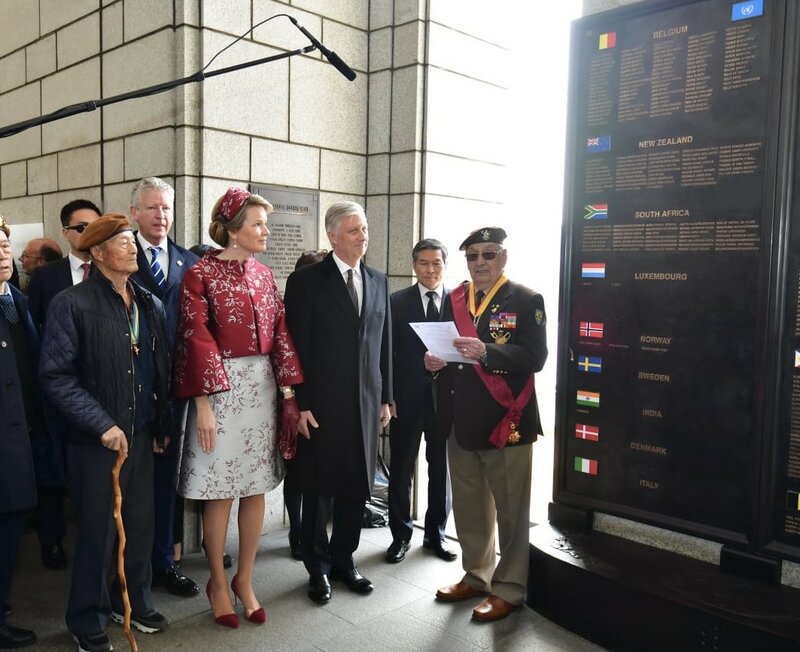 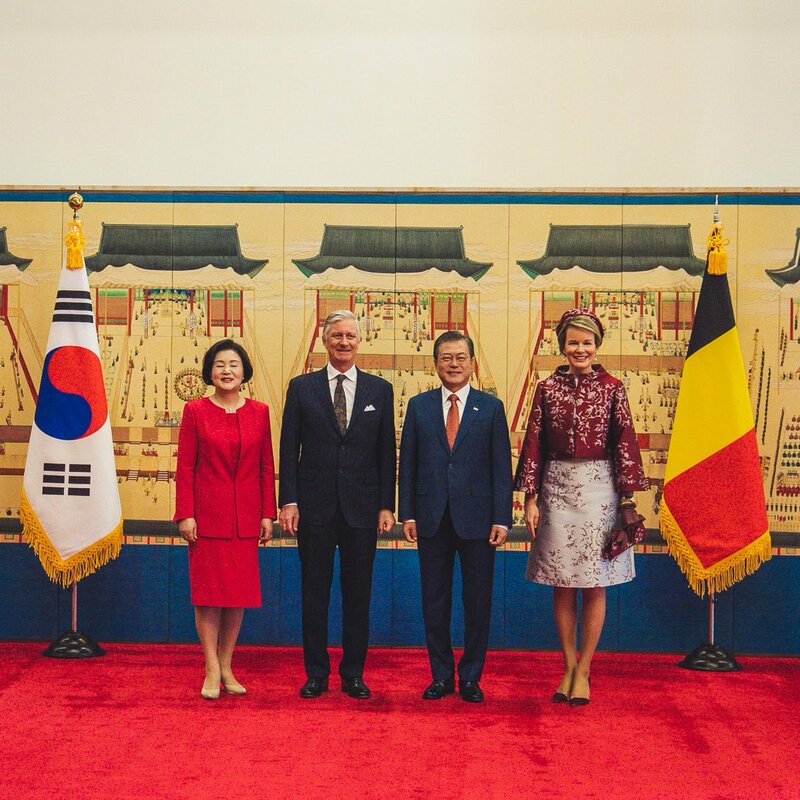 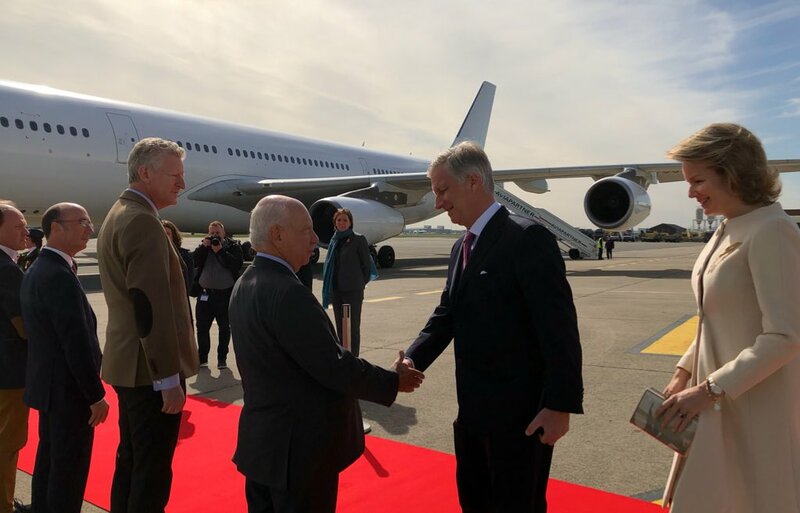 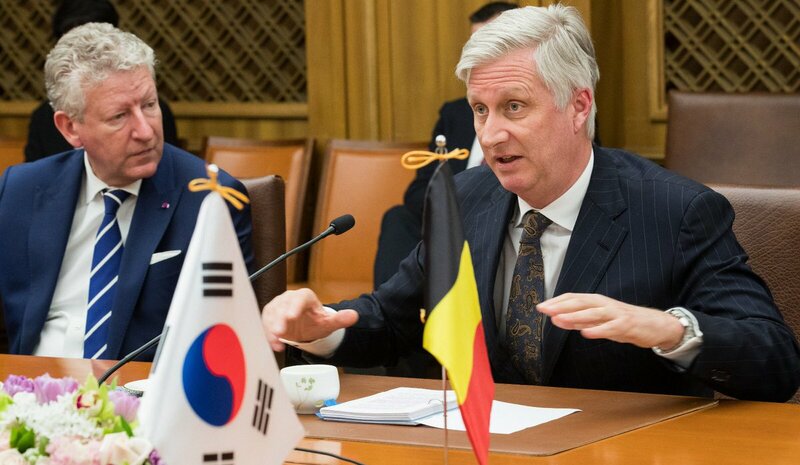 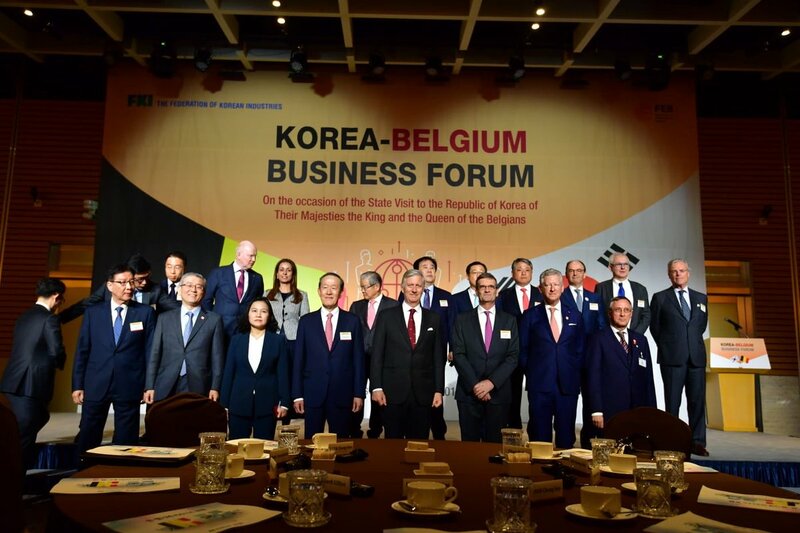 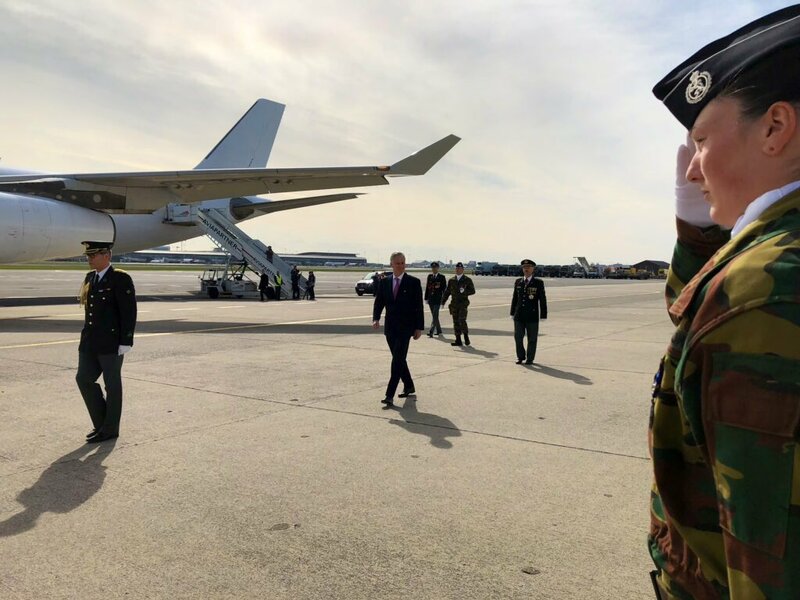 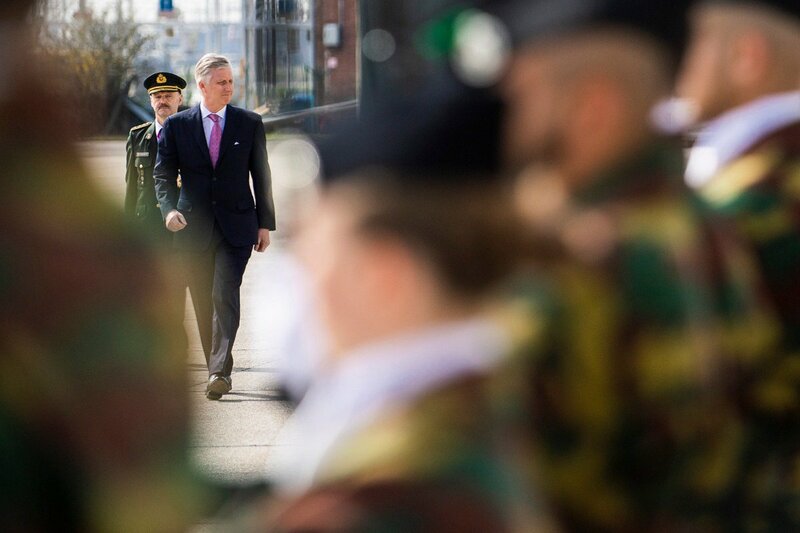 King Philippe visited the exhibition "Belgium-Korea Relations in 10 archives", attended the Belgian-Korean symposium "Improving Quality of Life Through Smart Cities" and visited the City Hall of Seoul. 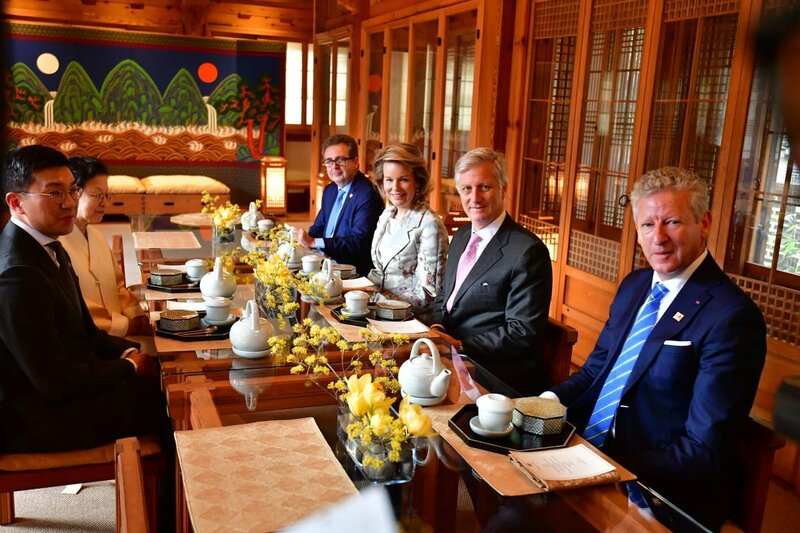 In the evening a state banquet followed. 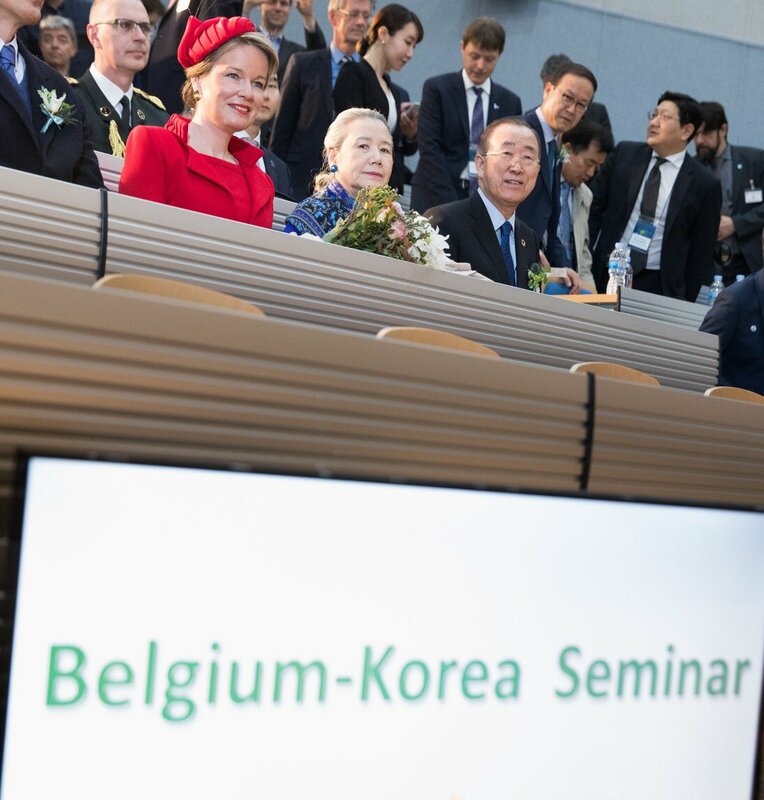 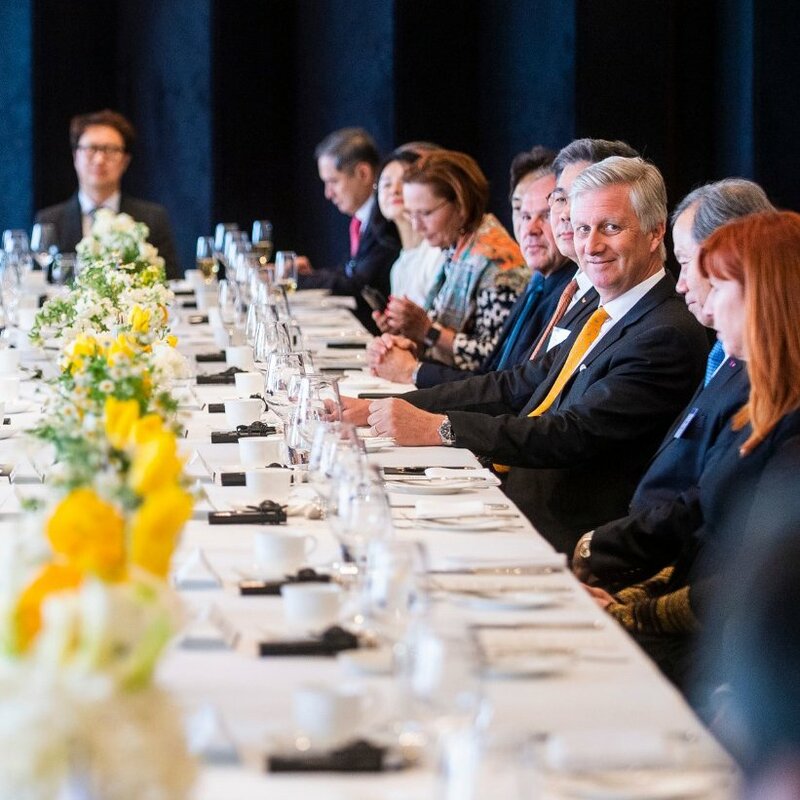 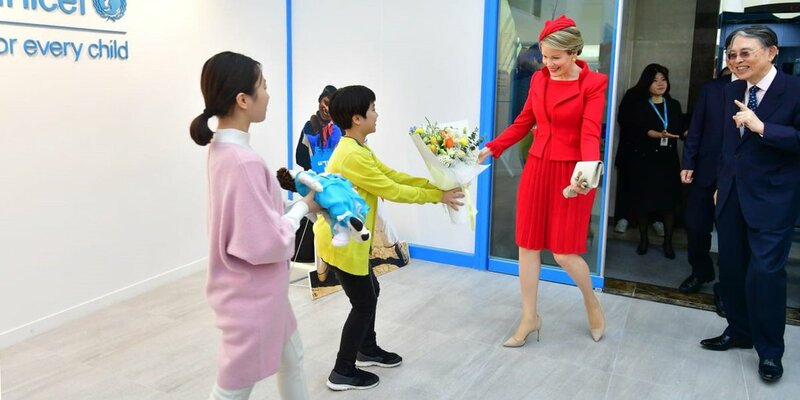 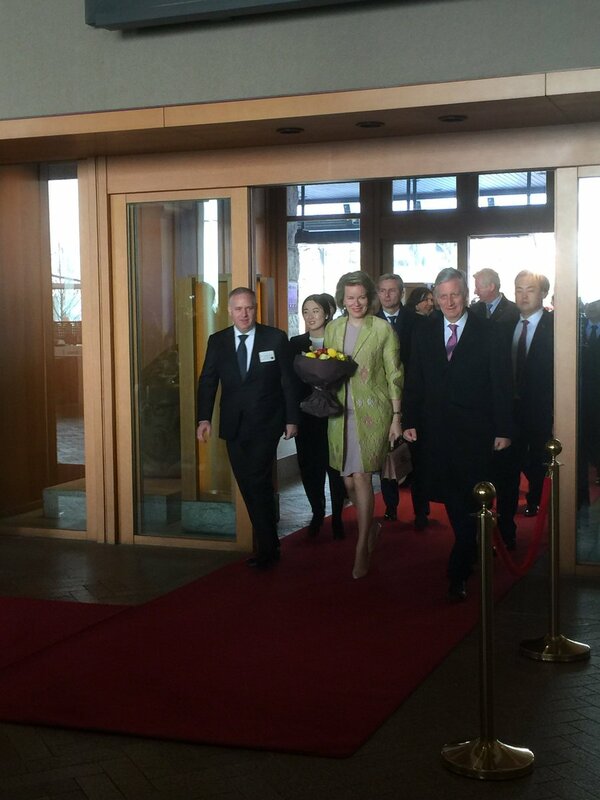 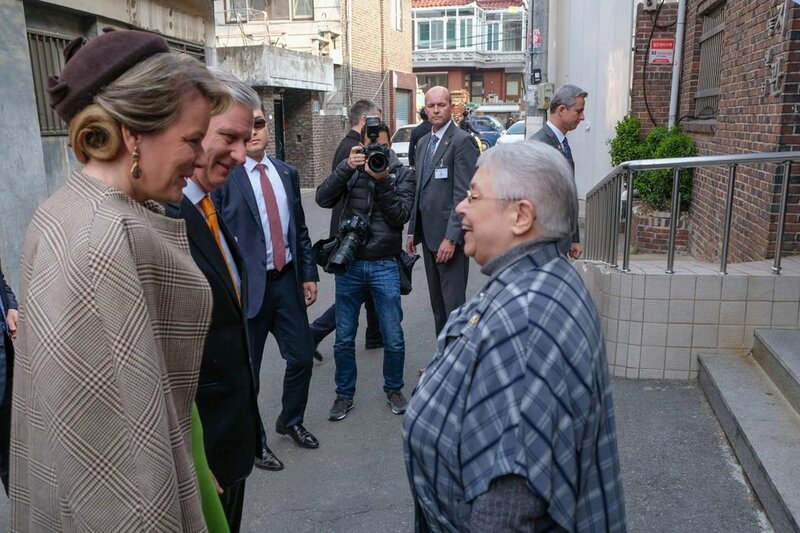 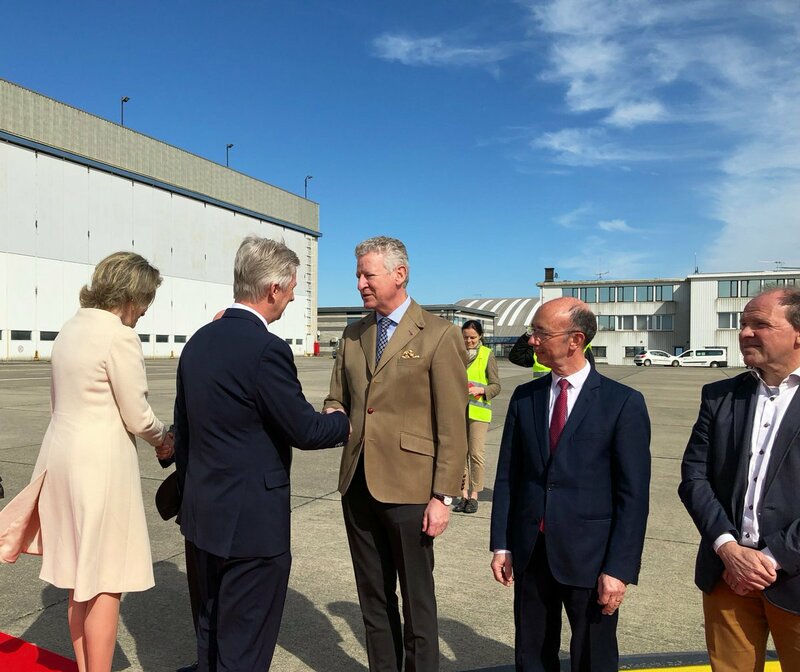 Today, March 27, Queen Mathilde attended the opening of the seminar "Innovative solutions for circular economy, sustainable mobility and climate change, while King Philippe attended a Korea-Belgium Business Forum. 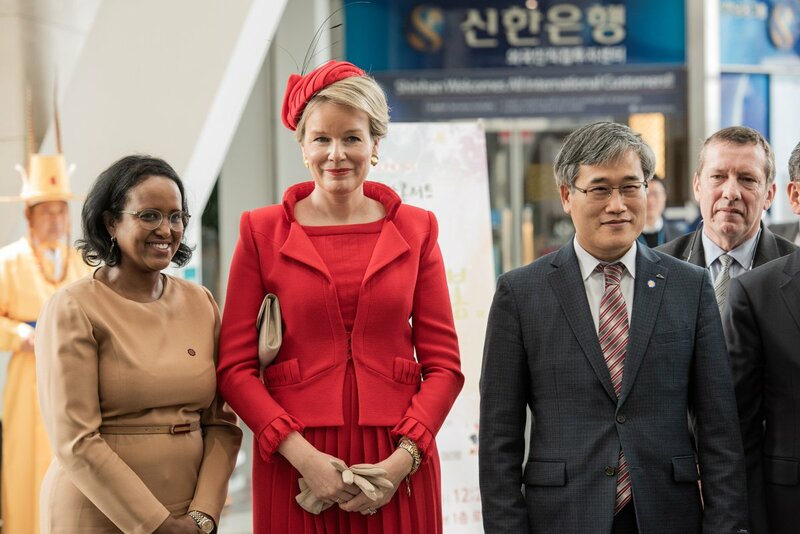 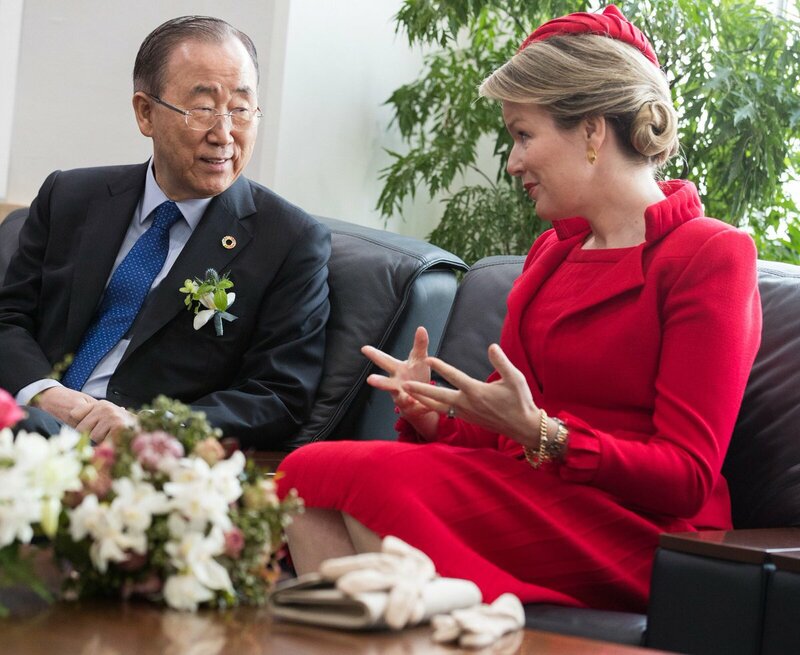 Mathilde visited the smart city Songdo and a thematic lunch on SDGs. 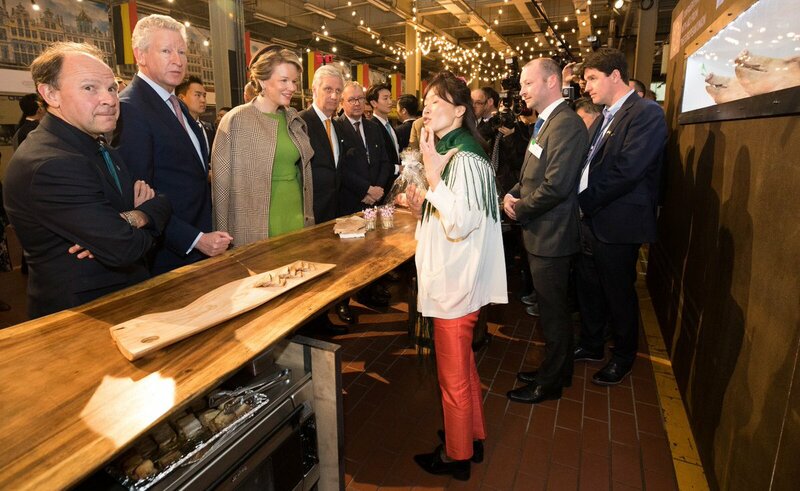 Philippe attended a lifescience and healthcare symposium and a power lunch before meeting with entreprenuers. 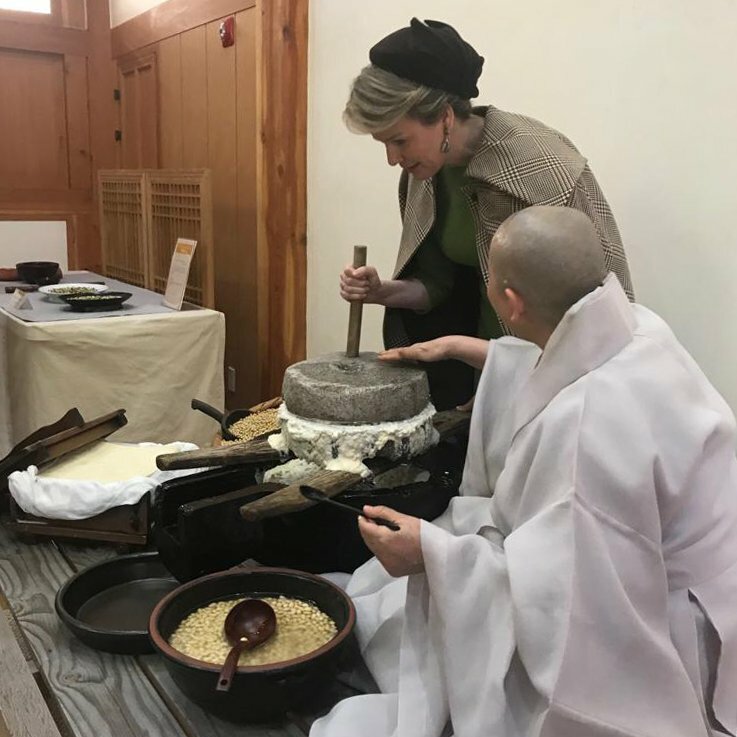 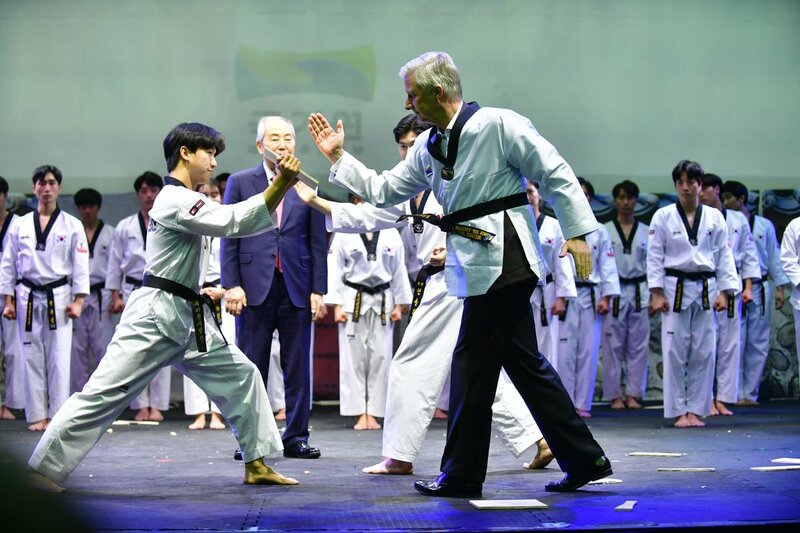 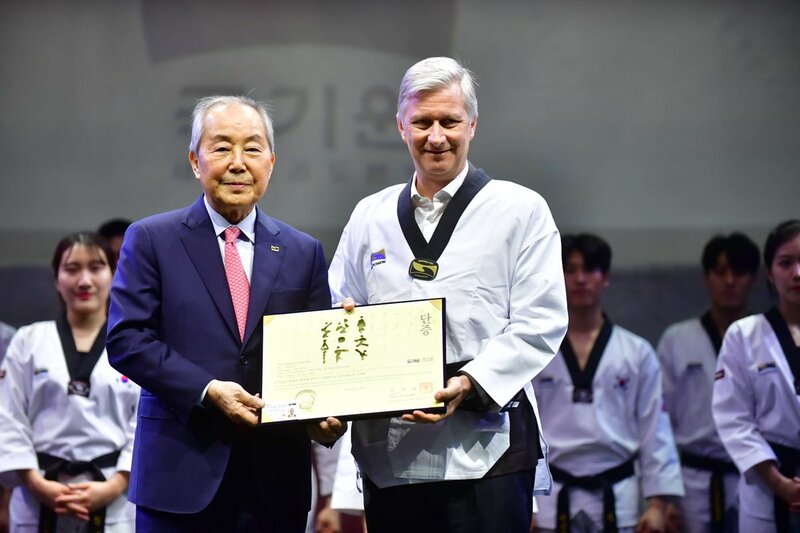 Mathilde attended an event about the effect of climate change on children and Philippe visited Kukkiwon and viewed a taekwondo demonstration. 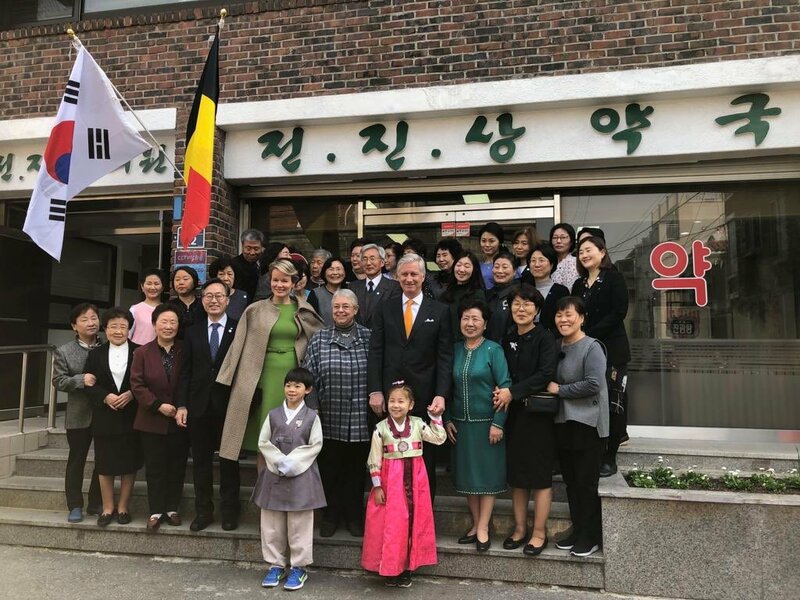 The day ended with a Belgian concert and reception. 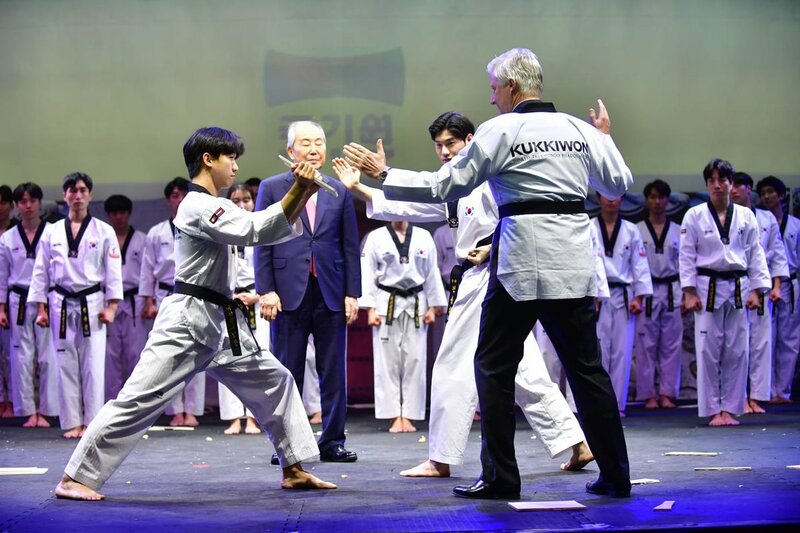 “Young people also practice this sport in Belgium. 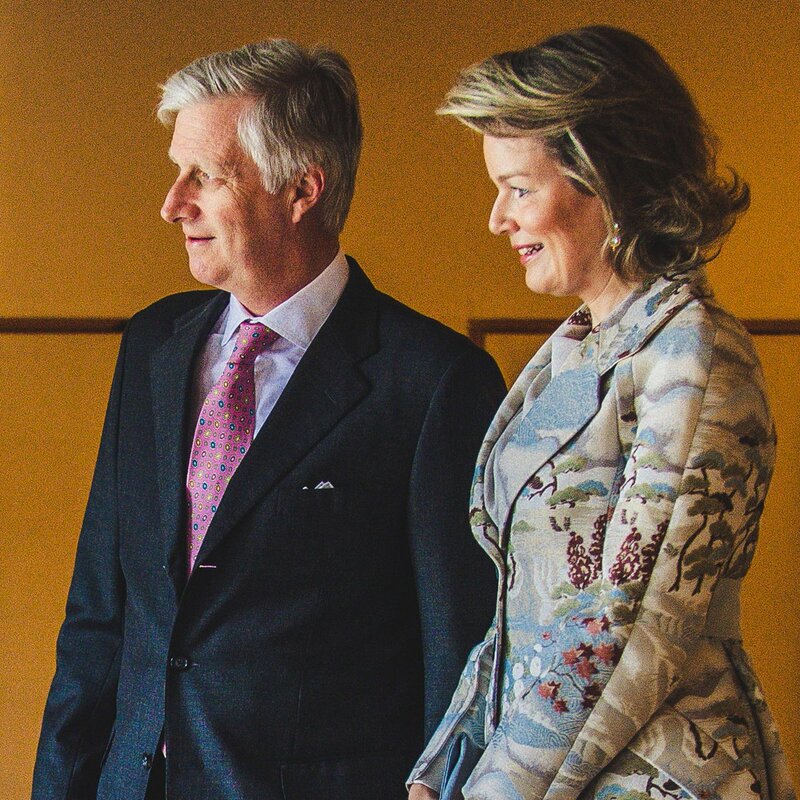 One of them is my own son (Prince Gabriel). 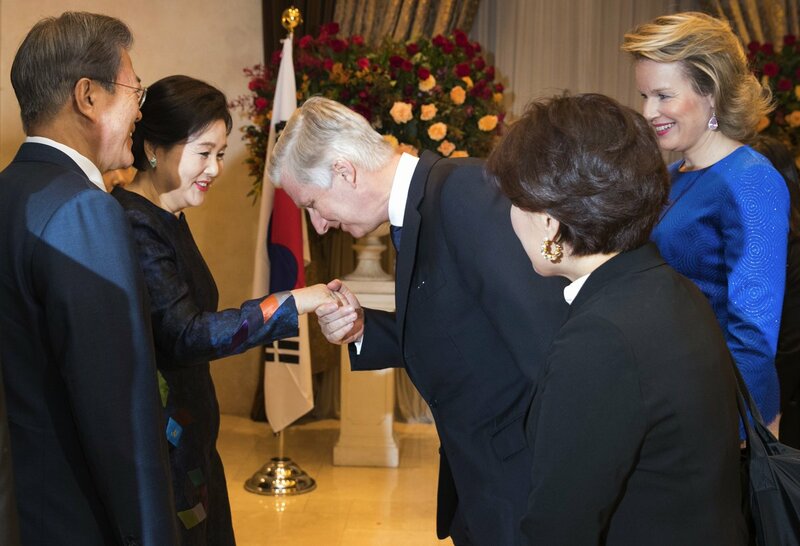 He is now very jealous of me." 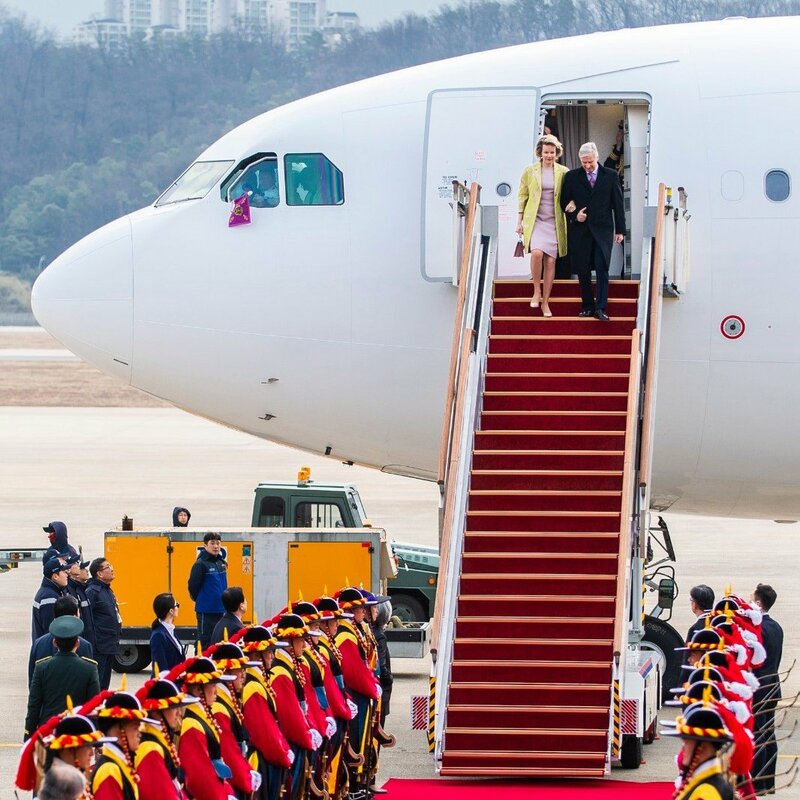 "We are very grateful to the authorities and the people of the Republic of Korea for the warm welcome and the excellent organisation of this state visit!" 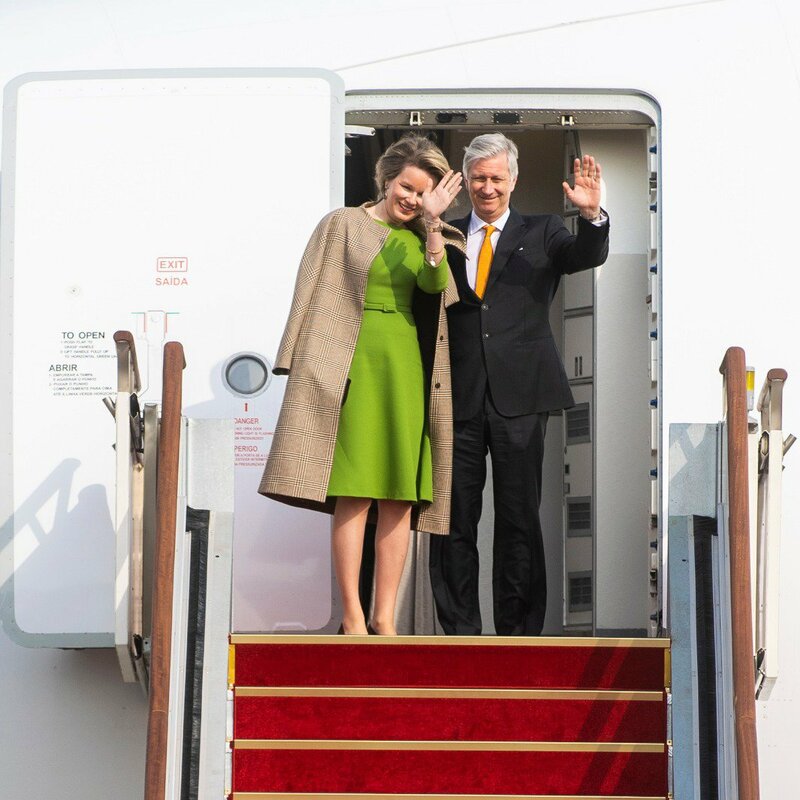 Video as the Royal Couple arrive back home!